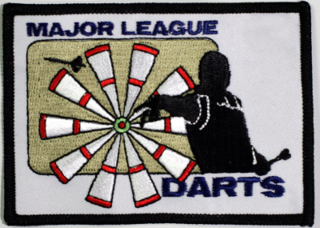 OK, you've played fantasy baseball and fantasy football, now it's time for Fantasy Darts! That's right, fantasy darts. Manage a team of 10 players from both the PDC and BDO and see how they fare over the next 9 months. Matt Sagen is a great 19 year old player from Western Washington in the United States and needs your help to be the next PDC Youth World Champion. We are trying to send Matt to the following events in pursuit of his darting dreams! Registration deadline for Singles is TODAY!!! Guaranteed 85% payout on all events. Why are the fields limited for MLD Local events? 1. Board limitations of the host venues. Remember, these are not designed to be full blown weekend tournaments, they are designed to be played in existing venues with existing boards in 1 day. 2. The purpose of the MLD Local events is to introduce players to the MLD system/format. We want people to enjoy the events/system and to attend the Tour Stops so this new tour can be a success for everyone in North America. We will be adding additional items in the future.